GOON[Apply Qoo10 Coupon] Japan Diapers/Pants 4-Pack Deal! Japan Version Diapers/Pants 4 Packs Deal! cheap and good. had occasional leaks. 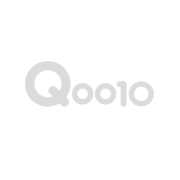 due to qoo10 app ptpblem ordered wrong size. seller allow size exchange. thanks. Bought this so many times and it is always reliable. Item was delivered within 3 days. regular customer. quality is good but sometimes cannot get offer price..
Hi, I have ordered the goon diaper XL pant on the 18 April, may I know when you will deliver? Kindly advice, thanks. Hi, Okay, thank you. Appreciate it. Hi can we mix n match sides? Apologies,unable to do so . hi, please confirm diapers are made in japan? For JV,Aromagic & marshmallow is made in japan. Hi, if I order now. Can I exchange the size of the diaper at the upcoming baby fair on 19 April to 21 April 2019 at Singapore expo? Hi, can i bring down 2 S tape and 7 S Pants unopened packs to exchange for 9 M Pants boys pls? What is your operating time? Ok. Thanks. Sorry, is 2 pkt Small tape and 6x M Pants boys. Exchange for 9 Large Pants boys pls. Will come this afternoon. Hi, I would like to know when will be a restock for xl boy swim pants? How many pieces of swim pants will there if I opt for the +$9.90 ? Option has been edited.You should be able to find it in our listing. noted w thanks. Have placed an order. Hi possible to choose 2 xl and 2xxl? Sorry not possible to mix sizes.